This 12-week diploma program provides students with training in the area of Esthetics. Students will learn skin care treatments, skin analysis, various types of facials, make-up applications and temporary hair removal. Graduates are eligible to sit for the Pennsylvania State Board of Cosmetology Esthetics licensing examination. Graduates of the Esthetics Program are eligible to sit for the Pennsylvania State Board of Cosmetology Esthetics licensing examination. Graduates must be licensed to work in this field. Penn Commercial does not guarantee that a student will pass the licensing examination. 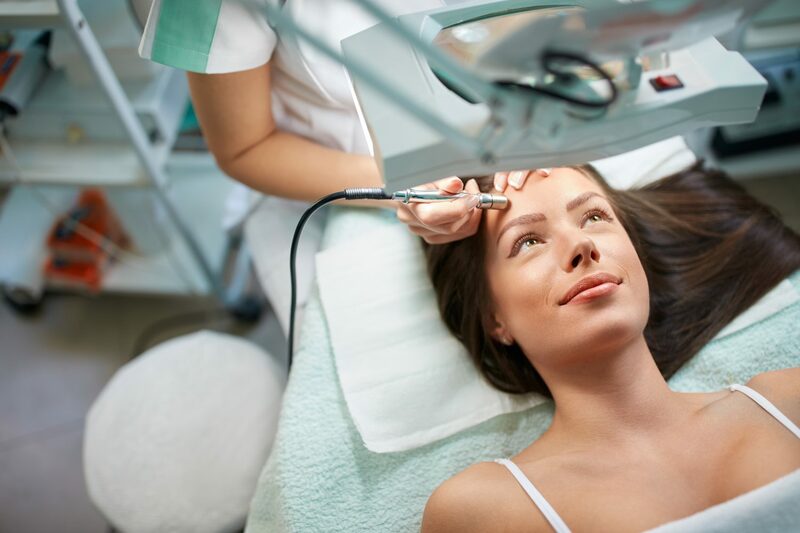 Estheticians work in a variety of settings including spas, salons, clinics and medical centers*. Examine client’s skin, using magnifying lamps or visors when necessary, to evaluate skin condition and appearance. Cleanse client’s skin with water, creams or lotions. Demonstrate how to clean and care for skin properly and recommend skin care regimens. Select and apply cosmetic products, such as creams, lotions and tonics.